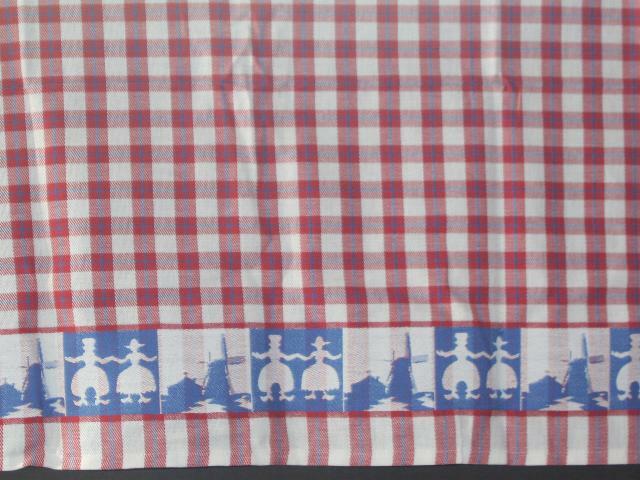 Tea Towel -- Red 60x65cm - Souvenirs - The Dutch Shop LLC your store for Dutch groceries. 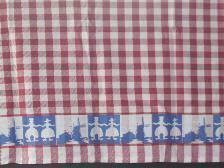 Tea towel red with blue checker design. The towel has a border with alternating picture of a couple and a windmill. 60cmx65cm size. Made of 100%, high-grade cotton that is absorbent and fast-drying. Guaranteed wash and color-fast.